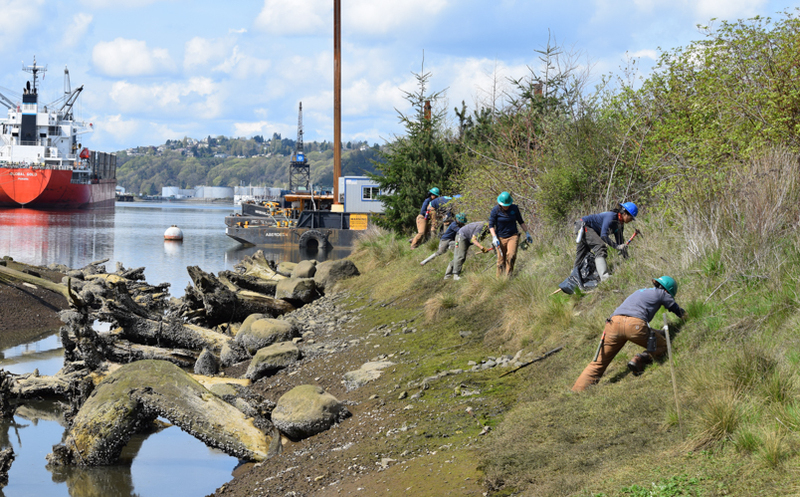 Restoring natural processes in the ecologically fragile intertidal zone supports an abundance of wildlife and healthy recreation opportunities. EarthCorps has the training and expertise to design, implement, and maintain a range of nearshore best practices including slope stabilization, emergent plantings, and bird exclusion systems. In addition, we have worked with other professionals to install large woody debris and remove creosote wood along shorelines.